A revolution in breast imaging. Breast cancer can be difficult to detect with standard digital mammography if a woman has dense breast tissue. Our innovative Aceso system has been specifically designed to solve this problem. 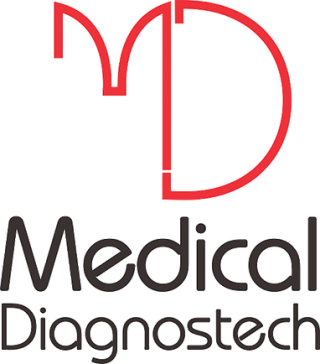 Medical Diagnostech (Pty) Ltd develops and manufactures high quality lateral flow rapid diagnostic test kits in an ISO13485 facility in South Africa. Unique technologies give our products superiority in terms of sensitivity, specificity and stability. Is a globally recognised manufacturer of surgical safety scalpel solutions. Today Medi-Safe Surgicals has a 15% market share of the traditional safety scalpel market in the United States. This market is the world’s most sophisticated, due to its advanced health and safety act, which endorses the review and use of safety devices in healthcare. In addition to our United States market, Medi-Safe is active in its home country of South Africa, as well as in Malaysia, Germany, Holland, Spain, France, Sweden, Ireland and the UK. Shonaquip was created to address the often overlooked and neglected of those who require specialised wheelchair services. Not all wheelchairs are created equal and different people have different wheelchair needs. Sinapi biomedical was founded with the purpose to provide medical devices with clinical benefit. The devices developed and manufactured by Sinapi have as first priority a clinical or practical improvement compared to competitive products. This provides the motivation and a belief that, as a team, we are making a long term contribution towards advancing healthcare. The TiTaMED Spinal Screw Implant System, is manufactured from the highest quality implant grade titanium. We have developed the unique and internationally patented uniaxial pedicle screw which enables new techniques to be used in posterior and anterior scoliosis correction surgery. VIVA Medical is a uniquely South African business that specialises in the manufacture of medical devices for the delivery of IV therapy for public and private hospitals in South Africa. The nature of the Medical Device Market requires precision, flexibility, safety and reliability – all at the same time. And these are the reasons why VIVAline™ is the product so often relied upon by medical professionals.